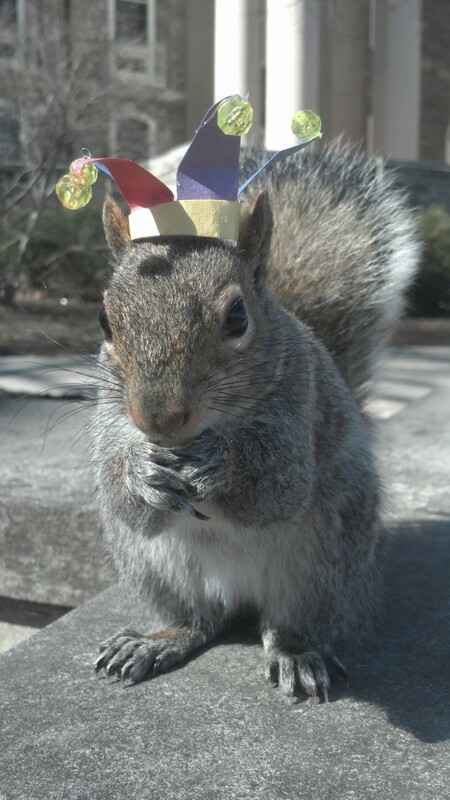 Mary Krupa, a student at Penn State University, befriended a squirrel on campus she calls Sneezy. 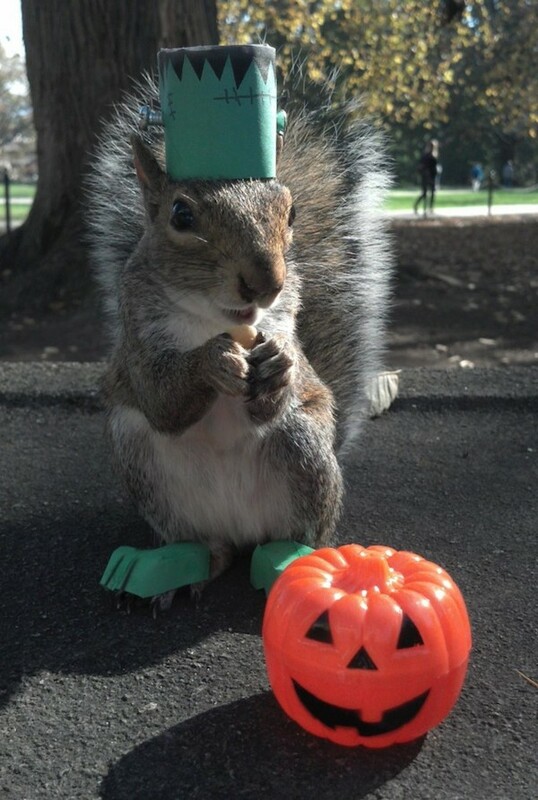 For treats, Sneezy will sit with tiny paper hats on his head and pose with props for photos! 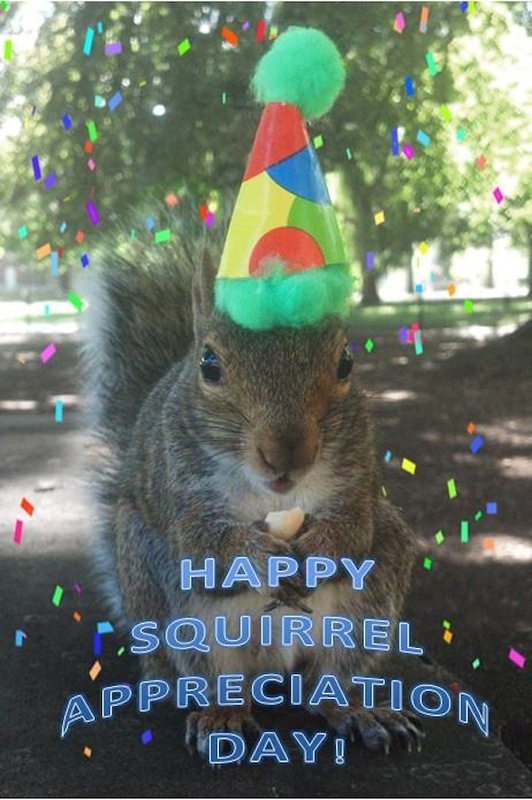 Sneezy even has a Facebook page – Sneezy the Penn State Squirrel. 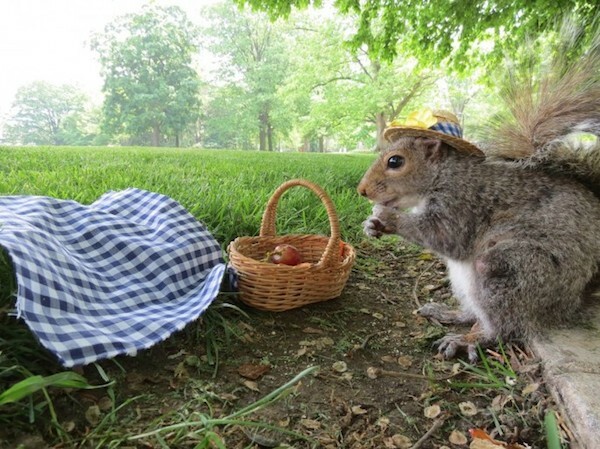 Squirrels easily adapt to “begging” and taking food from people (especially on college campuses), but they usually are not this compliant or tame. It must have been difficult to get this hat to stay on with the fuzzy stuff on the brim. Genius idea though! The little “shoes” make this even more adorable! The plastic pumpkin is a very nice touch. I love the idea of papercraft for light outfit props that can easily be shaken off and do no damage to the animal. 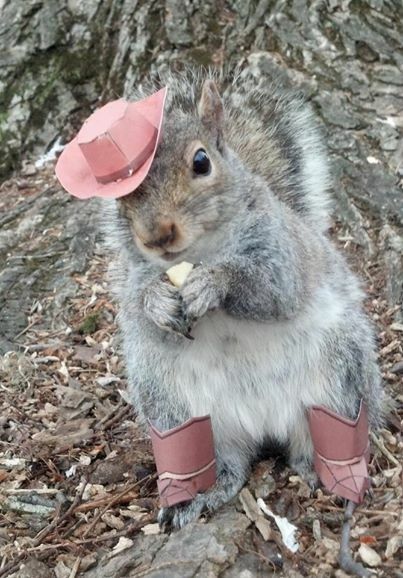 Look at those adorable boots! All of these photos and more can be seen on Sneezy’s facebook page here. Like Sneezy’s page to see future pictures and to show your support!